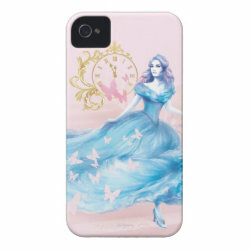 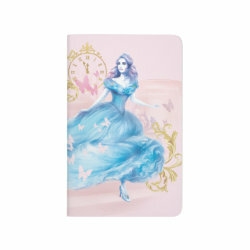 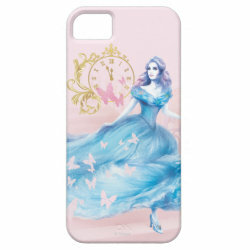 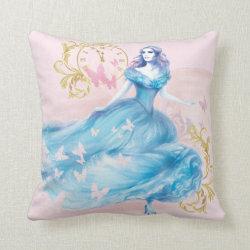 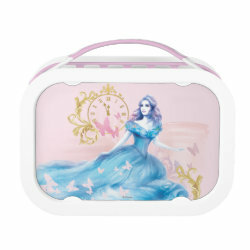 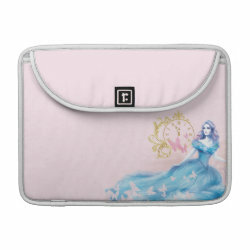 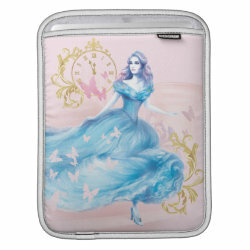 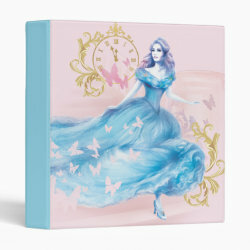 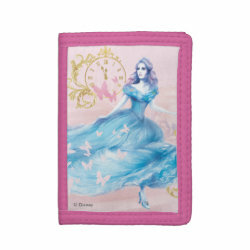 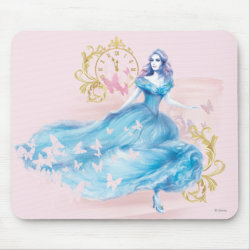 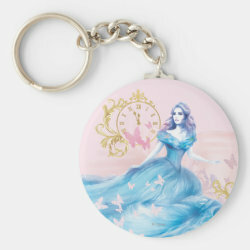 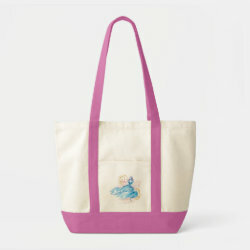 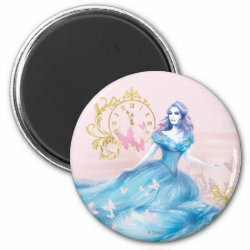 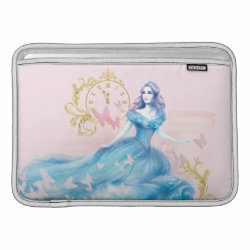 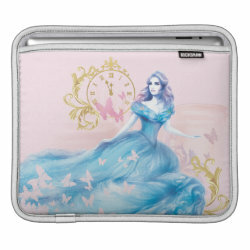 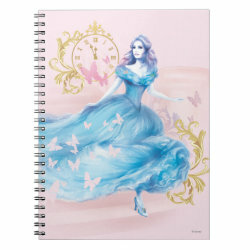 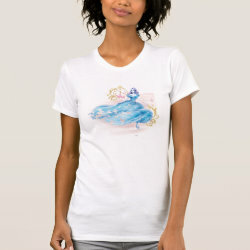 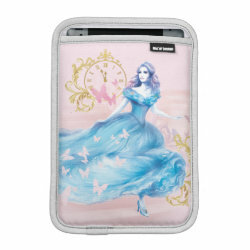 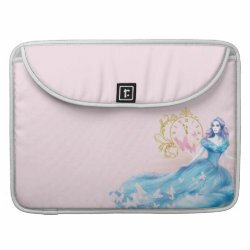 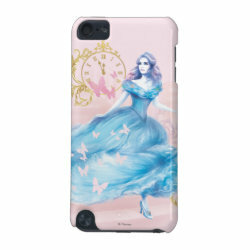 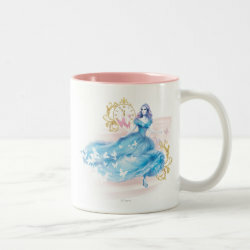 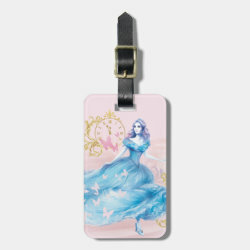 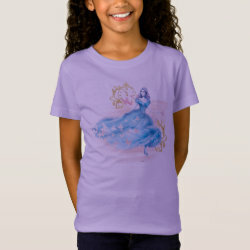 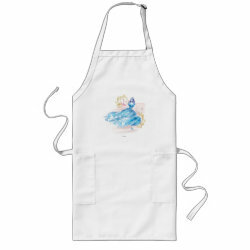 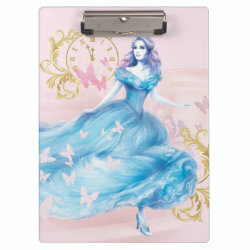 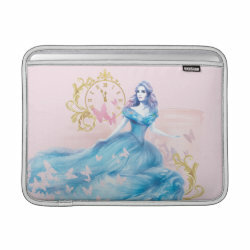 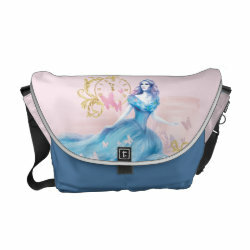 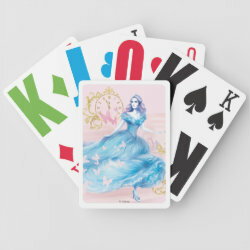 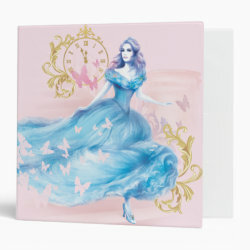 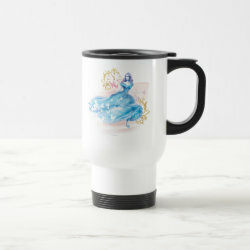 This beautiful montage-style design features an image of Lily James as Cinderella in pretty watercolor style. 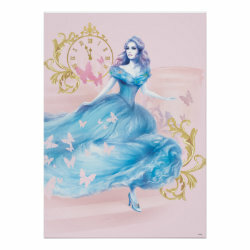 Cinderella wears her ball gown as she runs down More... the stairs -- midnight approaches! 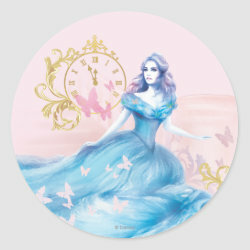 There are butterfly icons throughout, including as negative space on Ella's gown. 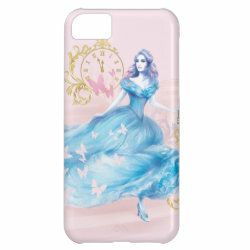 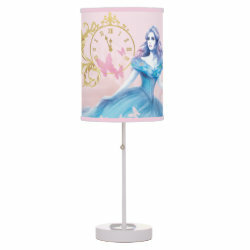 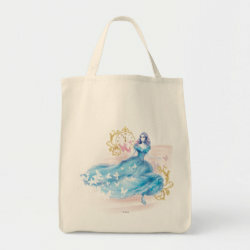 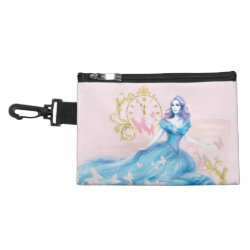 Pretty golden floral details make this a glamorous and stylish Cinderella design for fans of the new Disney classic.